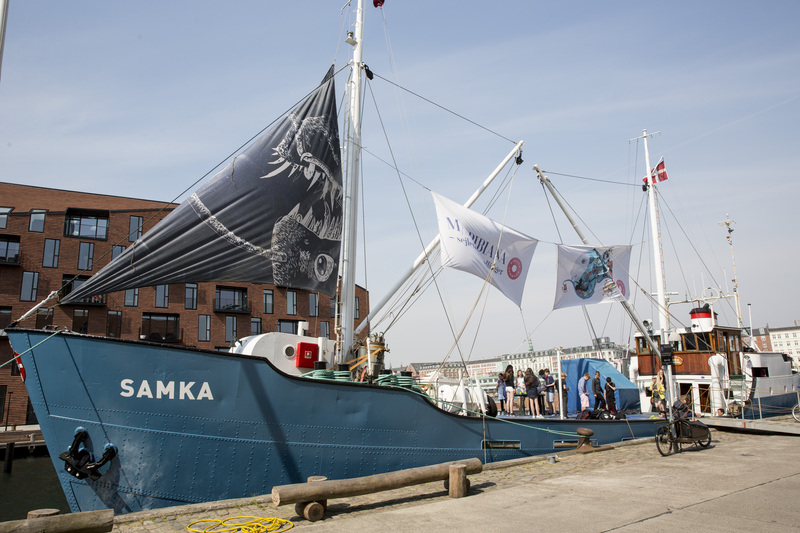 M/S BIBIANA is Denmark’s first art ship for children. The ship was launched in the summer of 2015 and has since then sailed three expeditions. In all the ship has visited 26 harbors and educated more than 200 school classes. M/S BIBIANA collaborates with both national and international illustrators, which means that you aboard the ship, besides meeting talented art educators, can meet illustrators and participate in creative workshops led by the illustrators. Our vision for M/S BIBIANA is to contribute to children’s education through exhibitions and art activities. That means that it is free for everyone to aboard the ship. Schoolclasses can sign up for educational programmes on board, also free of charge. 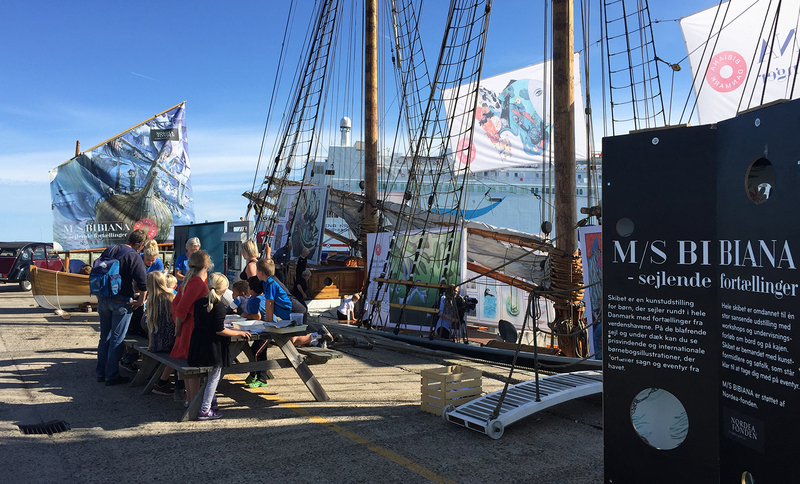 We want to help develop danish harbors into blue recreational areas. We therefore offer, not only a unique art experience through the exhibitions on the ship, but also through activities directly on the quay. M/S BIBIANA was launched by the non-profit association BIBIANA Denmark, which is supported by the Nordea fund with 9 million kroner.